I started CrossFit in May of 2009. I found it works because it’s not boring and it’s fun. Most programs or approaches to fitness run out of steam or get monotonous over time. Or, you have to come up with a workout and people have a tendency to program workouts that they like. With CrossFit, you don’t have to program and you don’t get bored. The constant variety and community aspect of the approach make it a fun thing. I NEVER think that I have to go to the gym. Instead, I want to go to the gym to do a fun workout with friends. I haven’t seen or heard of any program that can offer the same level of efficacy and fun. Can’t imagine doing anything else in the gym. I played basketball through grade school, high school and college and CrossFit has given me a means to stay competitive and fit. It’s also introduced me to a whole new group of friends that share in the same fitness interests. It’s really changed my life. Prior to becoming a CFG Coach, I coached basketball for 11 years. 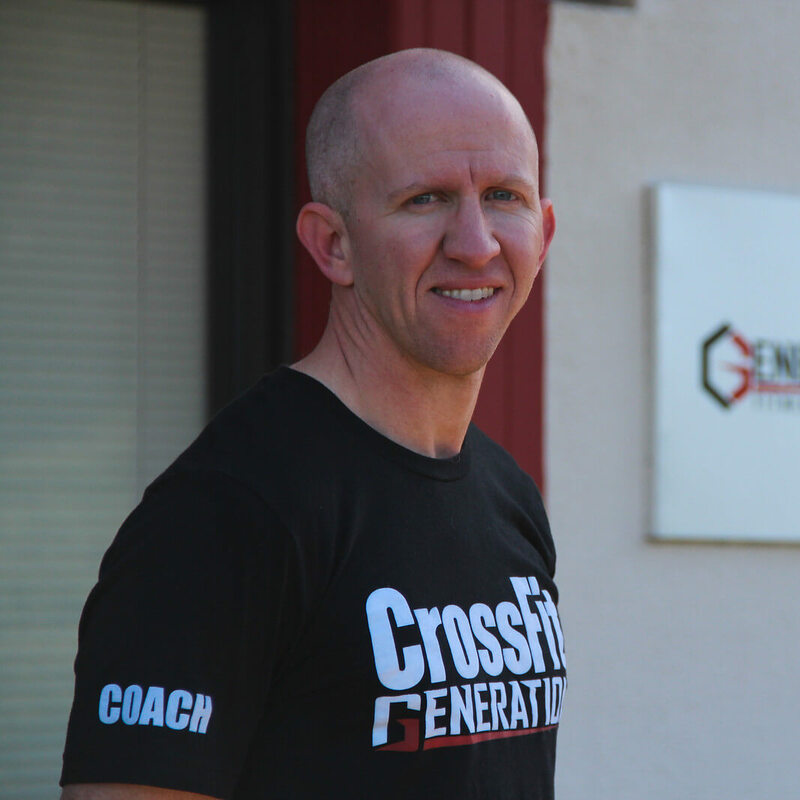 Coaching is what I know so the transition to CrossFIt coach was natural for me. If I could give advice to anyone thinking of starting CrossFit, I’d say don’t be scared. We’ve all been there. We’ve all failed at double-unders, been too weak to do a pull-up or came close to throwing up after a long workout. It’s a process, but it’s very rewarding and more fun than you’d expect. I have my CFL1 certificate and plan on obtaining my CFL2 in spring of 2018. I’m a Holy Ghost Prep alum and graduated from Penn State with a major in Management Science and Info Systems with a minor in Operations Management. At CFG, in addition to coaching, I’m in charge of Media, Apparel and Sound. My wife Angela, who introduced me to CrossFit, and our dog Gunner live in Chalfont. We love to travel and escape to Las Vegas whenever we can!